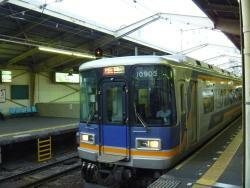 This is one of the major private railway companies to cover all Kinki area of Japan. 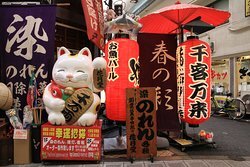 It is convenient to use Kintestu for a sightseeing Nara, Kyoto and Ise-shima areas. Kintetsu is one of the major Japanese railroad companies that allow a smoking in the train. 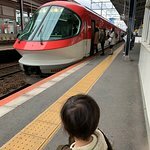 Nowadays, all Japanese railway trains, except for shinkansen trains operated by Tokai and JR West, and very few night trains, are smoke-free. 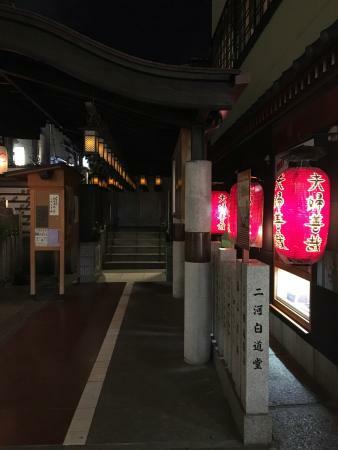 place, at even in a 75-minute limited-express ride to Yoshino. The company completely neglects a harmful side-smoke from a cigarette room built in a train. It is well-known that an air-cleaner in the smoking booth of a train does not entirely eliminate toxicity. This fact is well-recognized and confirmed by 50 countries of the World, 100% banning smoking in a train to protect public heath. 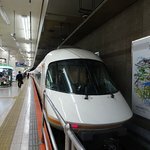 We had heard that the day trip to Nara could be very busy with tourists so we purchased our reserved seats for our Kyoto-Nara-Kyoto trip online prior to leaving home – cost: 2040 yen for 2 adults. On the day of travel, there was a required additional “basic fare ticket” to be purchased for which we were able to use our Suica cards. The trip took 35 minutes, & the Kintetsu-Nara Station is within walking distance of the Deer Park. I can't believe I'm doing this as it's a private company which gets you from A to B in a cheap and efficient way. The service is speedy and reliable, fares are decent and the trains are clean. I can readily recommend it. I chanced upon this pass offered by Kintetsu Corp for foreigners. 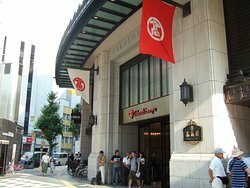 At 3800 yen for 5 days travel on the Kintetsu rail network and 3 vouchers for limited express service, this pass is a bargain! Just love it, except for the inconvenience of not able to buy it at any Kintetsu railway station offices but at a list of their nominated offices including BIC stores! The irony of it is that their voucher exchange can only be done at their railway station. One other point to note is that some of their own station staffs do not know of this ticket/pass existence!